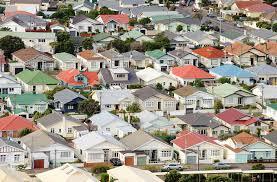 The latest BNZ monthly business confidence survey asked people if they were bothered about rising house prices. According to the results, 29 percent of respondents were concerned about rising prices, 29 percent were happy, and 42 percent were indifferent about the issue. According to the survey, however, "The number of responses this month was unusually low at just 93", a participation rate low enough to place doubt on some interpretations. According to BNZ's chief economist Tony Alexander, "General commentary in the media, from politicians and from the central bank would have us believe that people are overwhelmingly unhappy about the way house prices are rising. But that is not the case... it does mean that a generally silent majority of 71% of people are not concerned that house prices are escalating." These numbers may come as a surprise to people, especially with the Reserve Bank about to introduce a macro-prudential policy as a way to slow down the housing market. Four tools are currently being rushed through government, including the ability to place limits on high loan-to-valuation lending as a way to curb rising prices. The Reserve Bank realises the bind it's in, however, with the choice to either allow the housing market to overheat and threaten inflation or encourage the New Zealand dollar to surge higher and undermine future growth. According to RBNZ Governor Graeme Wheeler, "In particular, we are very wary that speculators may be re-entering the market, particularly in Auckland and that this behaviour needs to be curbed. Be that as it may, what these prudential policy measures will do, in the very words of the central bank, is reduce the actual supply of mortgage lending". There is also activity on the housing supply front, with building volumes for March much improved on previous quarters. According to Statistics New Zealand, building volumes were up 12 percent over the quarter, which is the biggest rise in a decade. It is important to note, however, that volumes are still 20 percent lower than normal when seen as a total share of the economy. According to housing minister Nick Smith, initiatives to encourage developers are vital if the government is serious about curbing high prices. With a combination of supply initiatives and new Reserve Bank tools, the government are trying to stop house prices from escalating on a number of fronts. According to BNZ senior economist Craig Ebert, however, it may not be "enough to keep up with what is rampant demand for new homes, underpinned by very low interest rates?" With the New Zealand property market already 20 to 25 percent overvalued according to both the IMF and OECD, even the most well thought-out initiatives will take a long time to affect current market conditions.